Tracksuit top 100% polyester tricot. 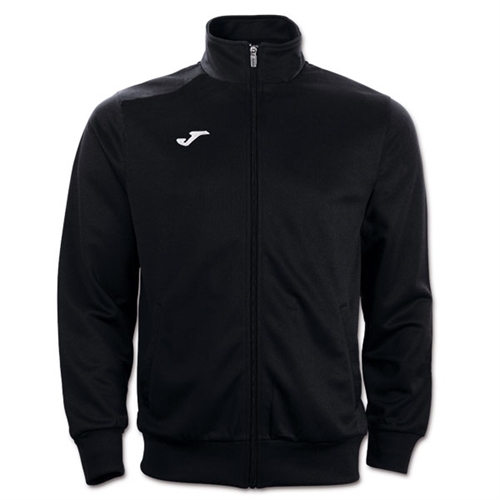 Full zip front jacket with Joma logo on right chest. Pockets. Our Joma Combi Jacket is an open jacket with zippper and ribbing at cuffs and waist for optimal fit. Zipped side pockets.